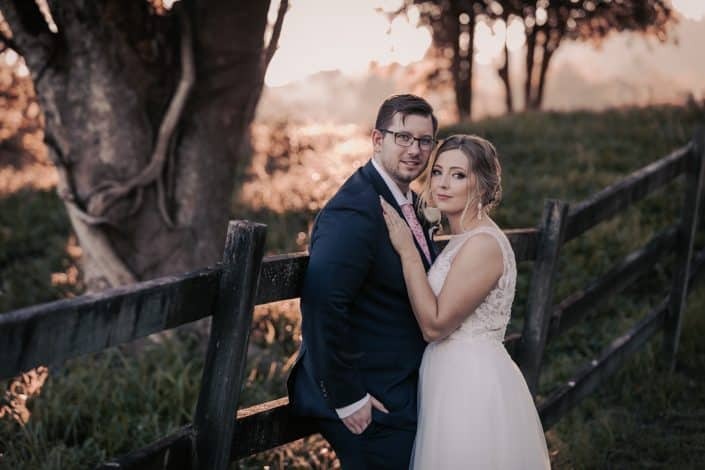 I met Ally and Lee around one year ago for their engagement shoot which can be found by following this link. 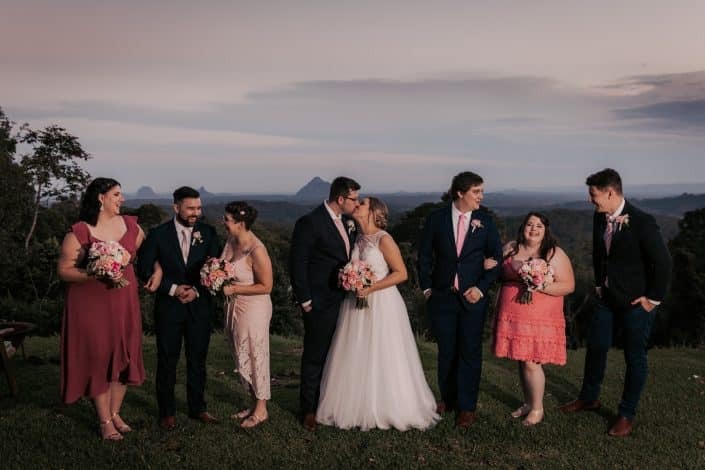 After seeing their engagement photos, they decide to book me as their Maleny wedding photographer. 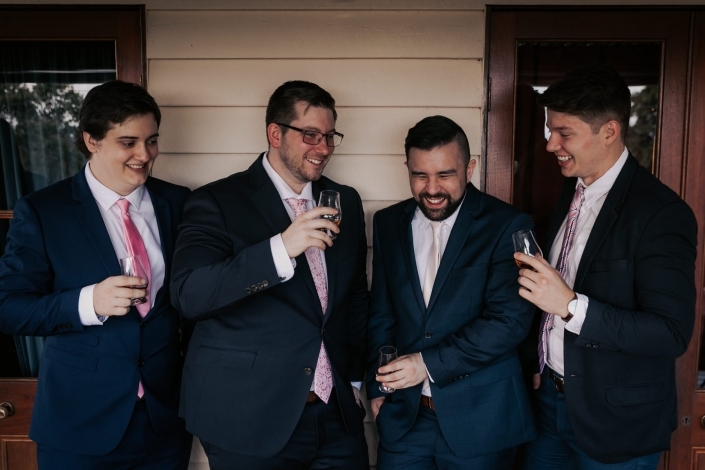 I was pretty happy about this as they work well in front of a camera and are very photogenic. 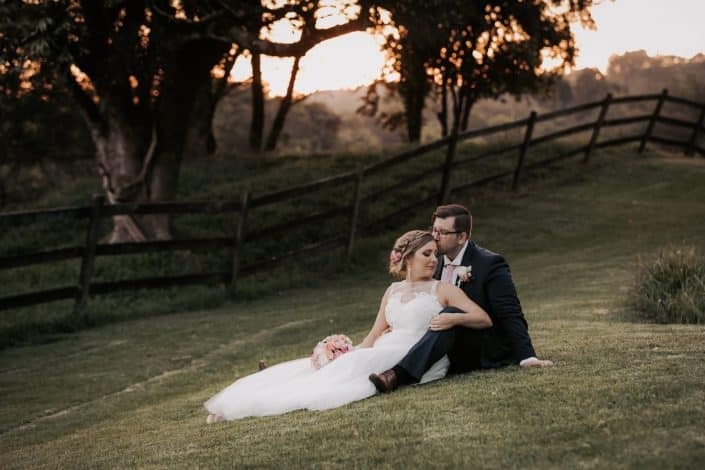 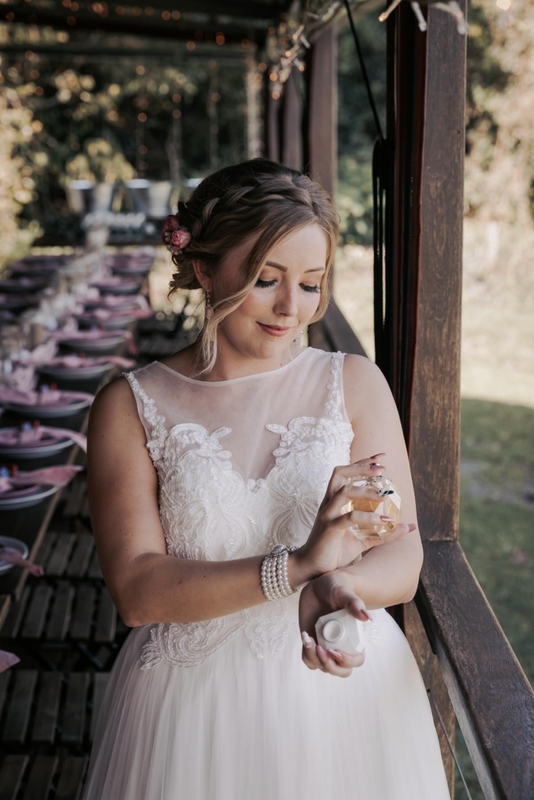 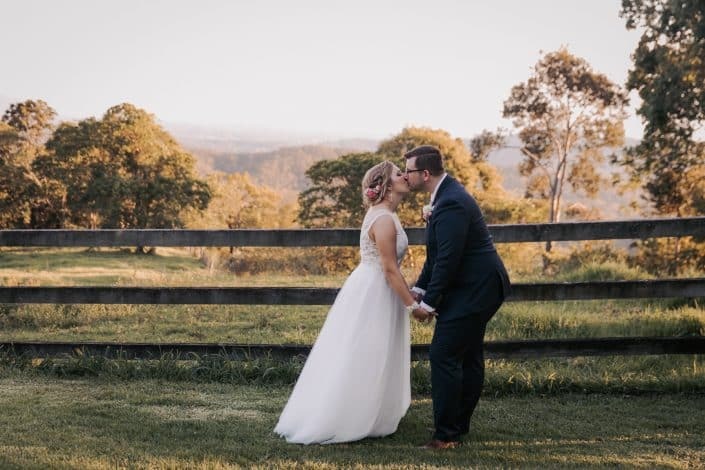 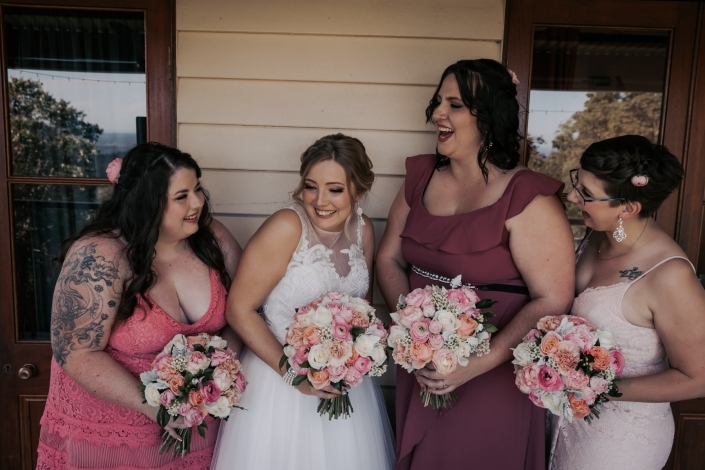 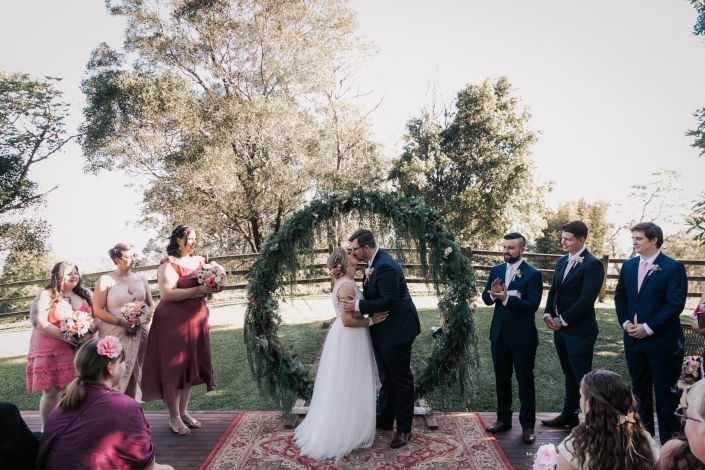 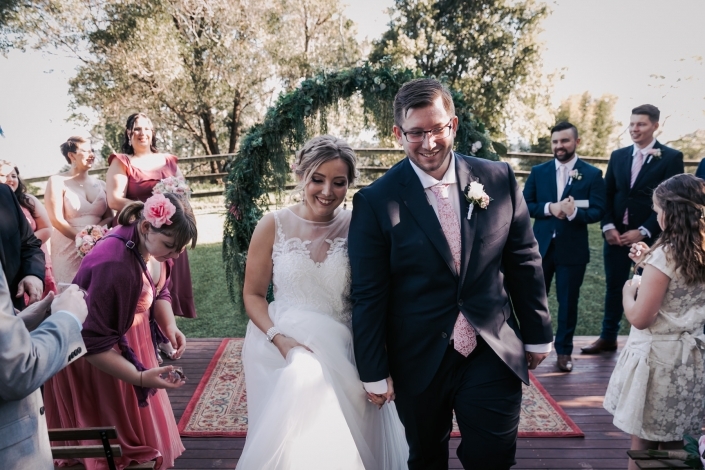 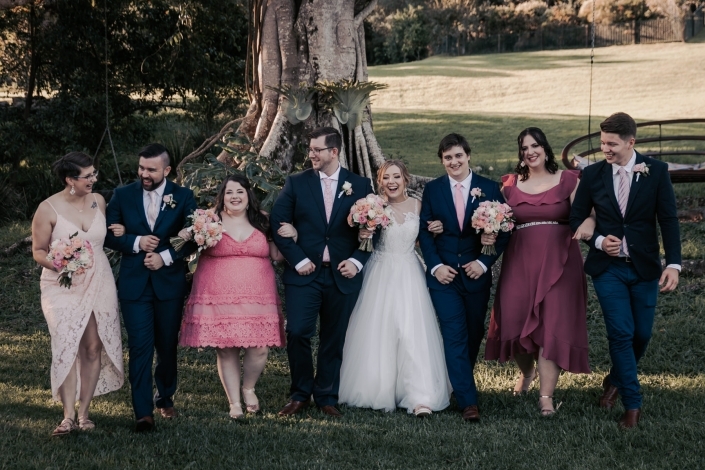 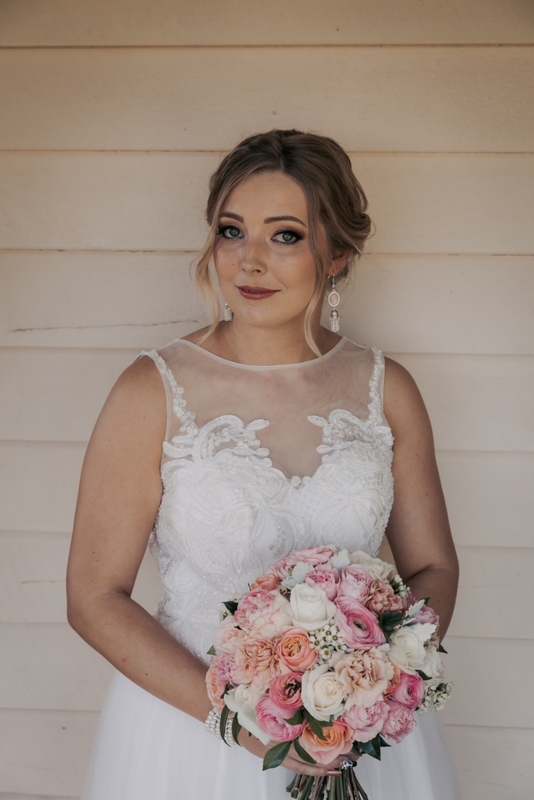 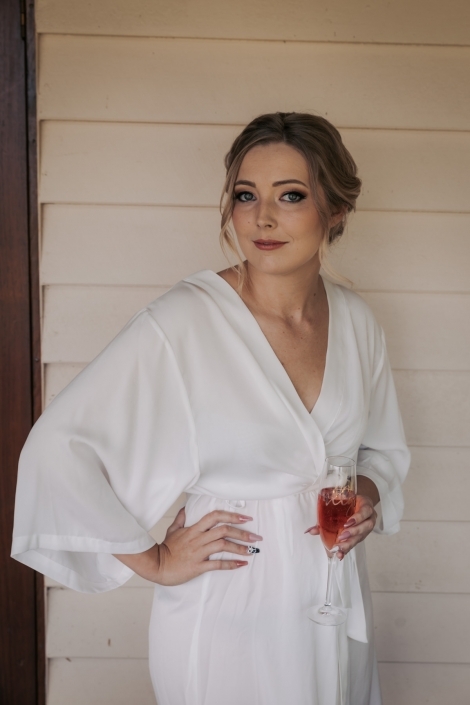 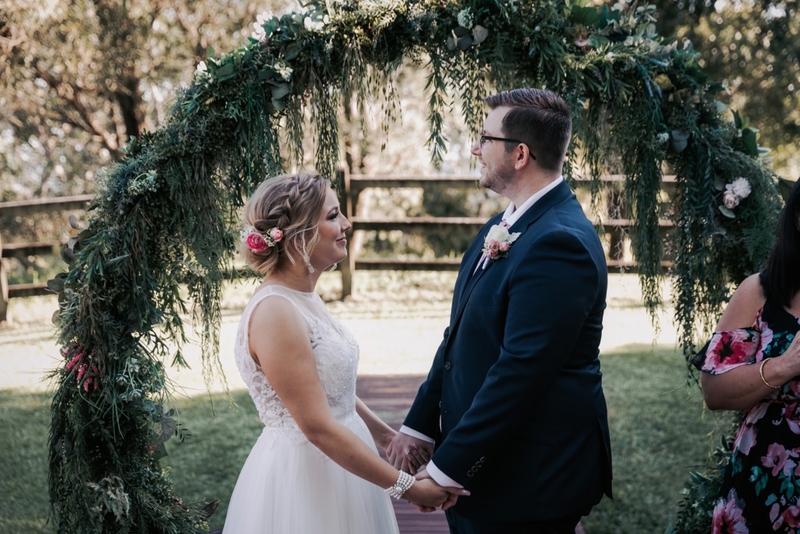 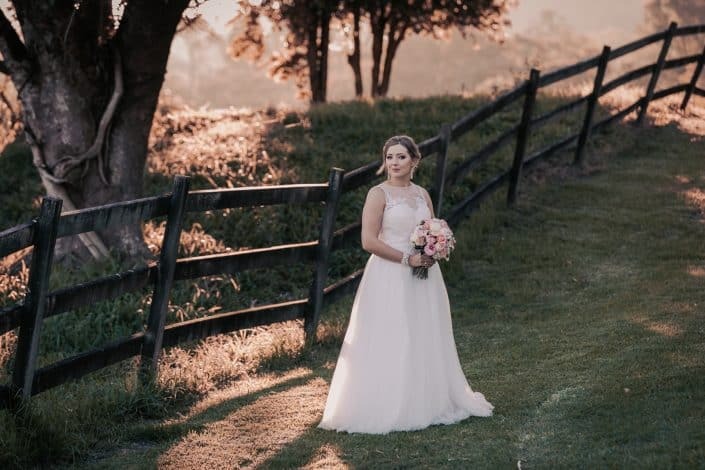 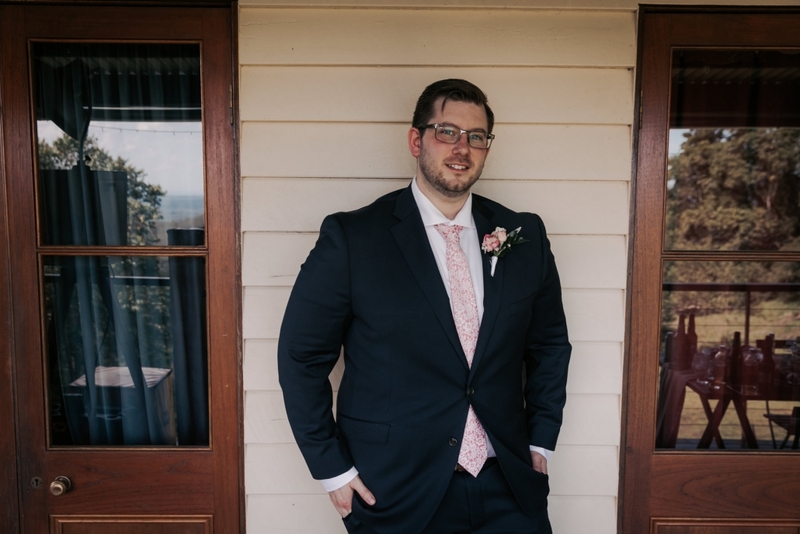 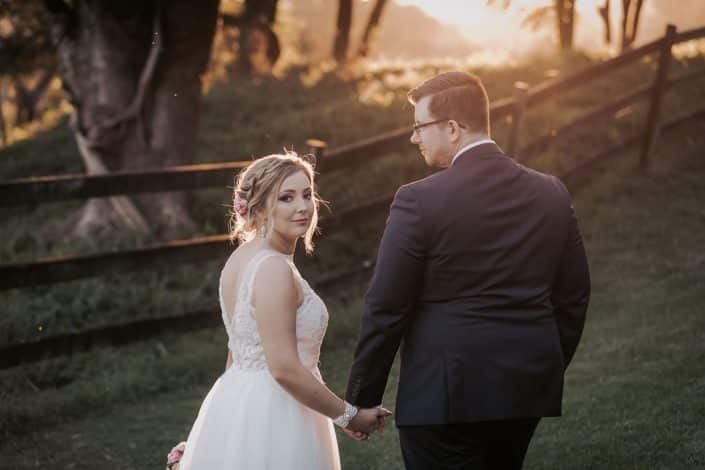 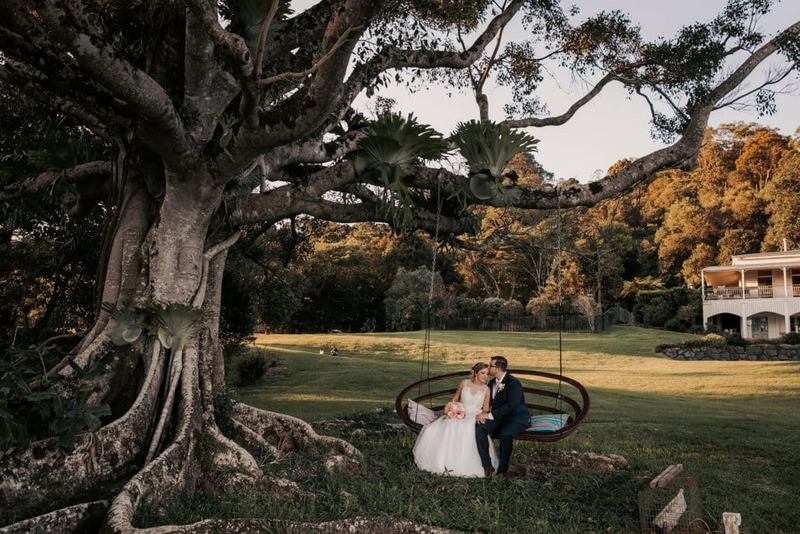 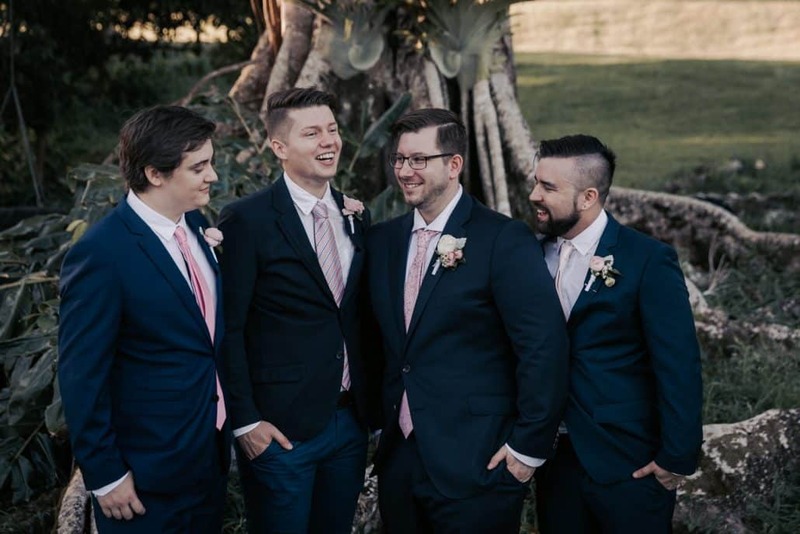 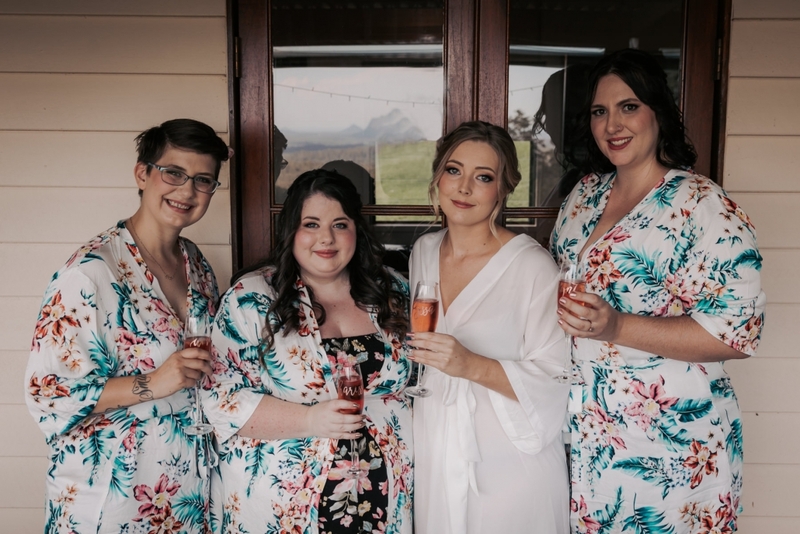 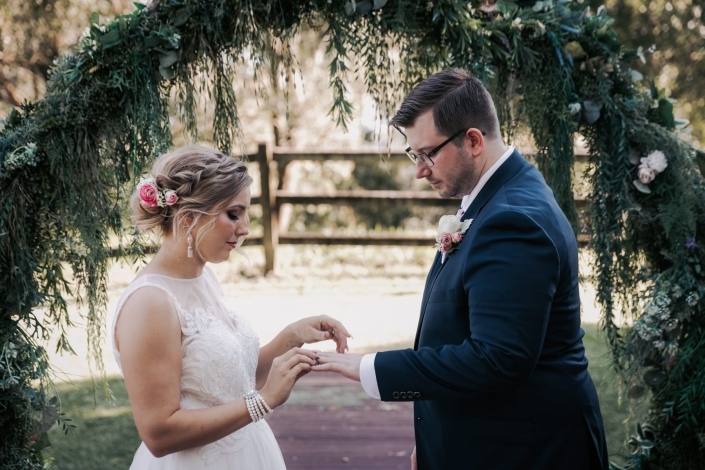 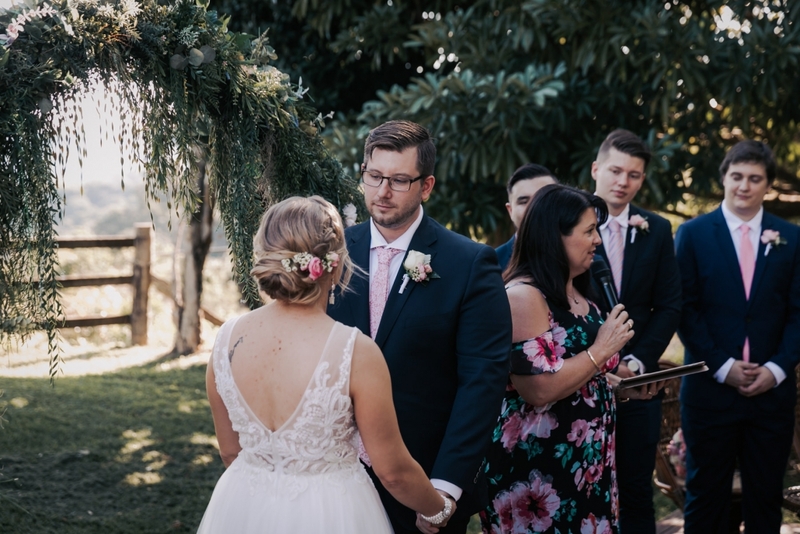 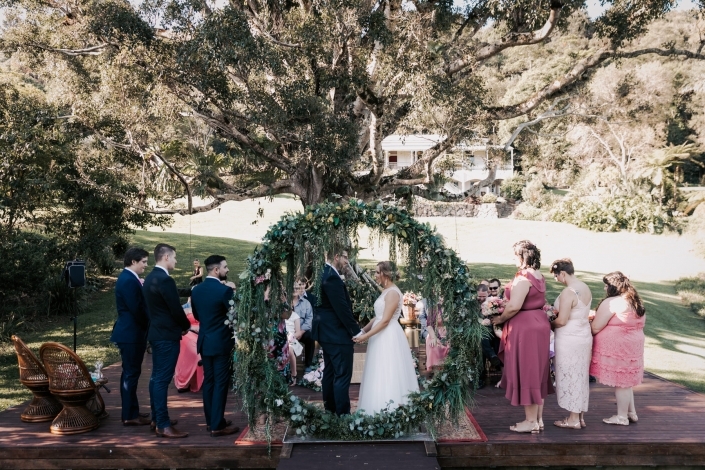 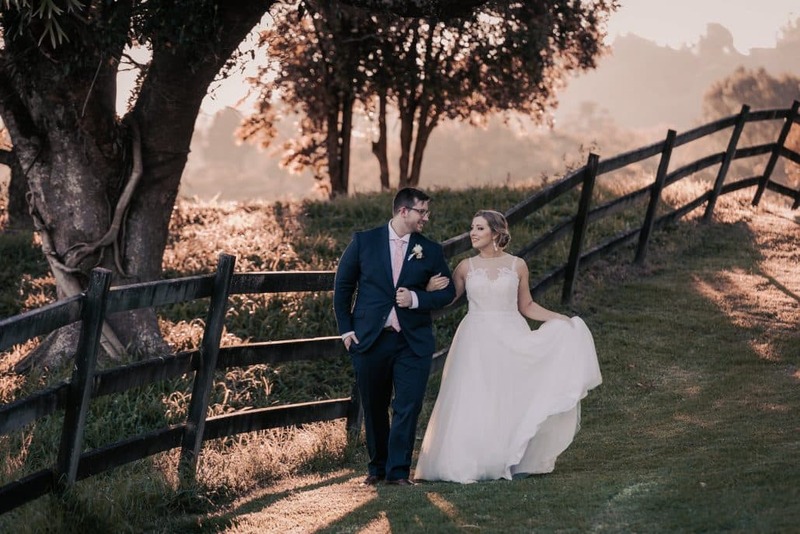 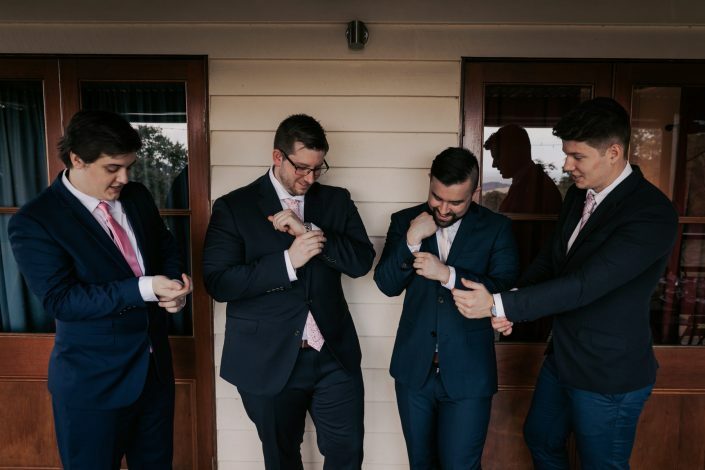 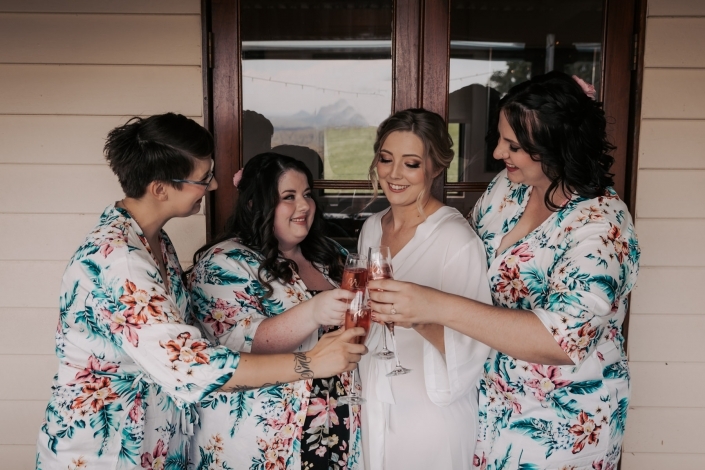 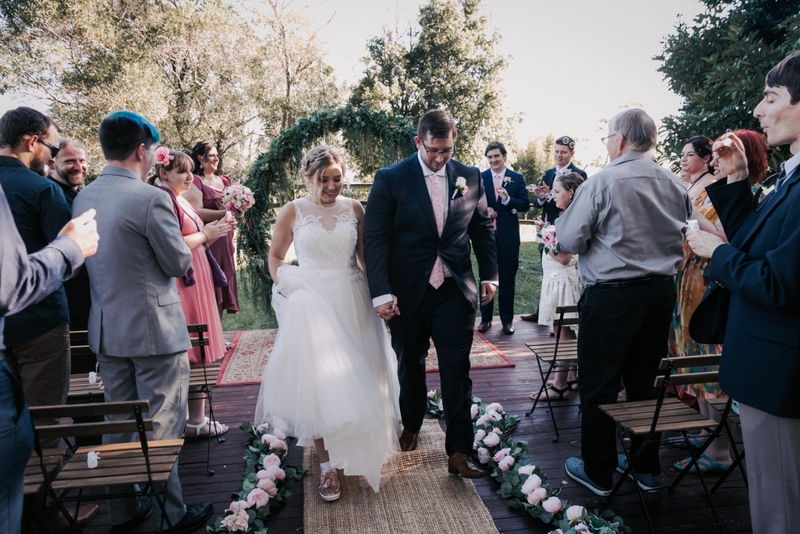 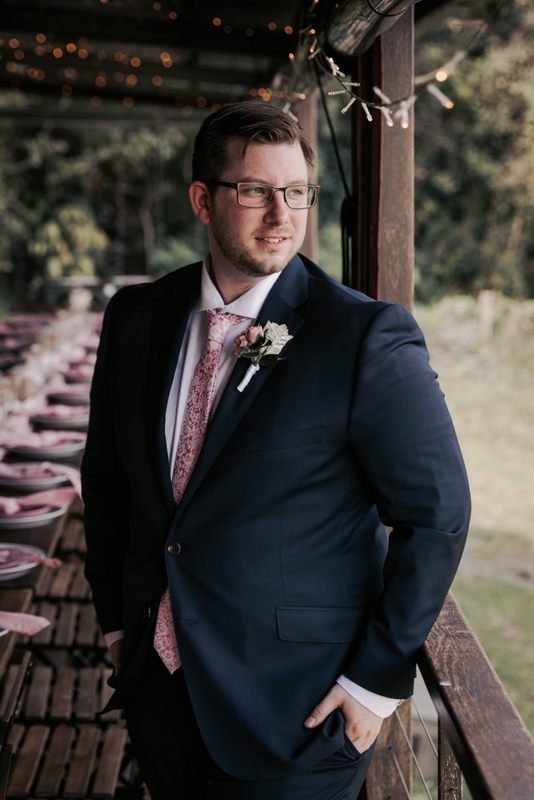 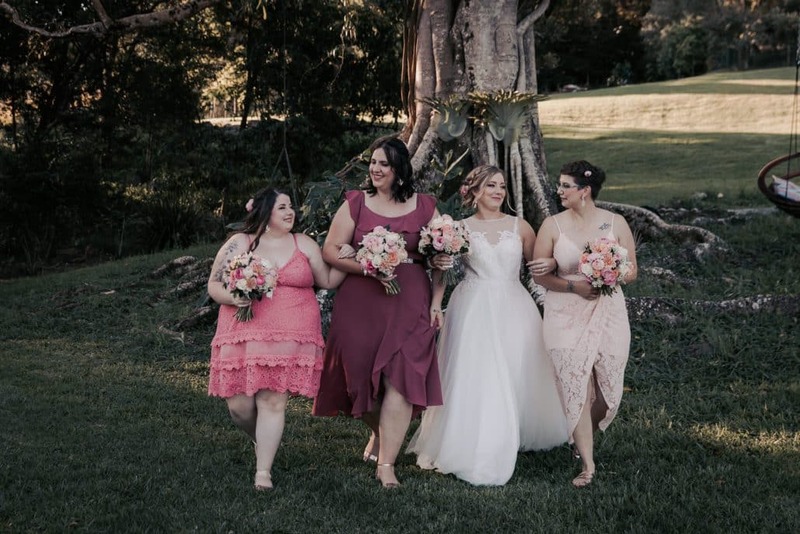 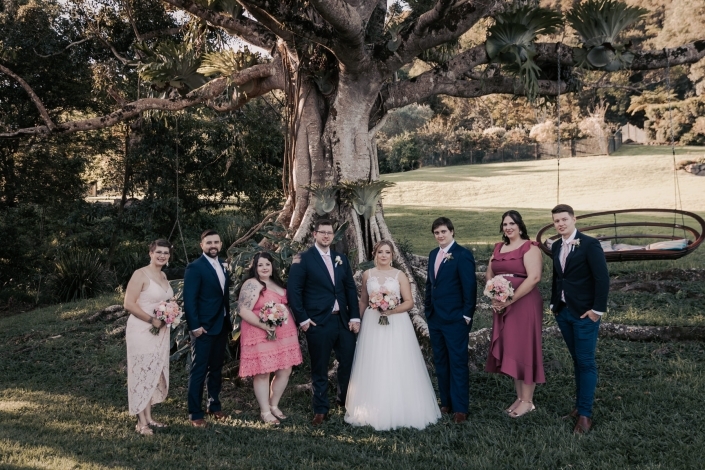 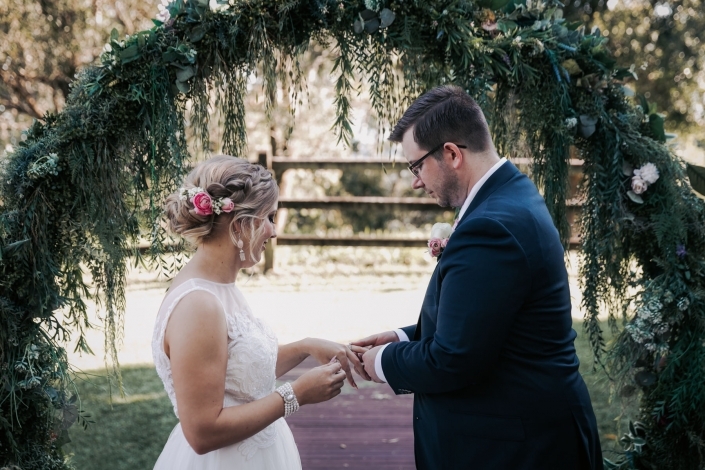 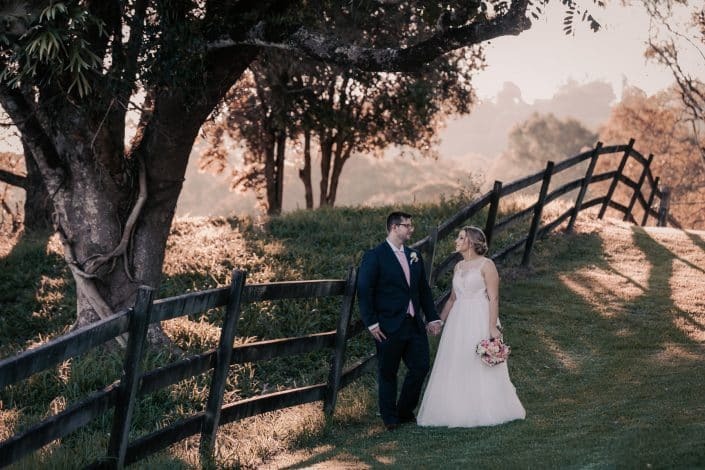 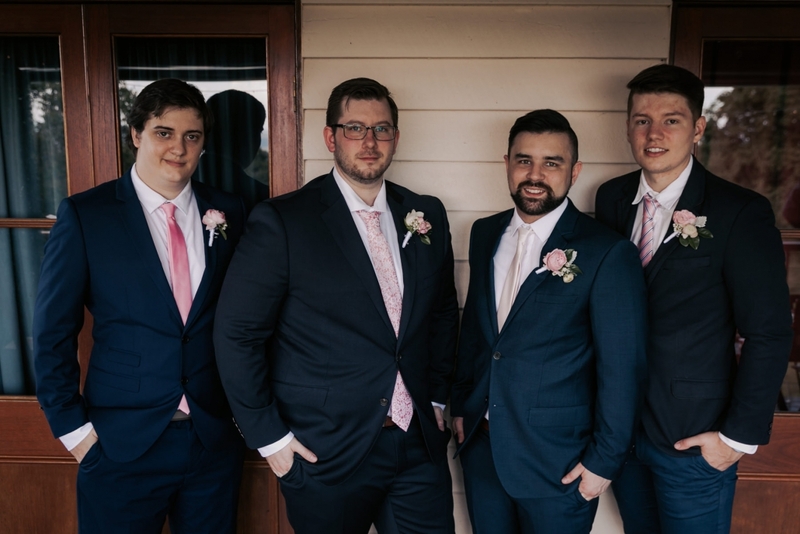 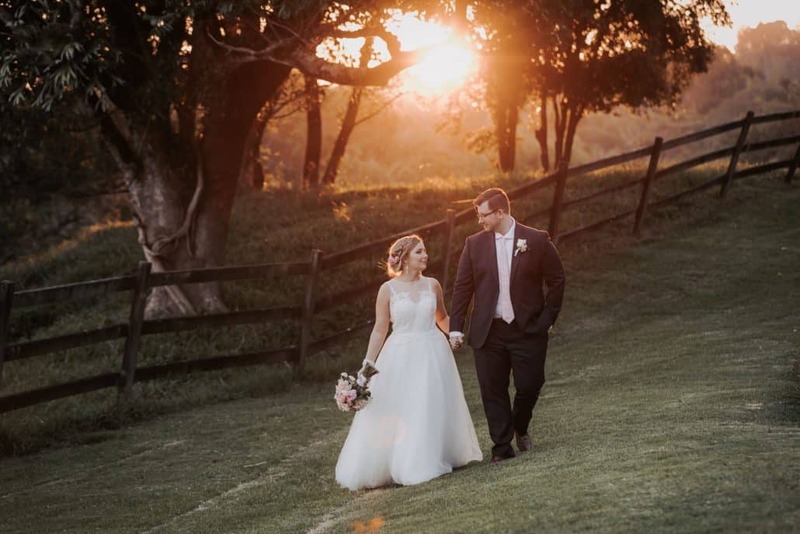 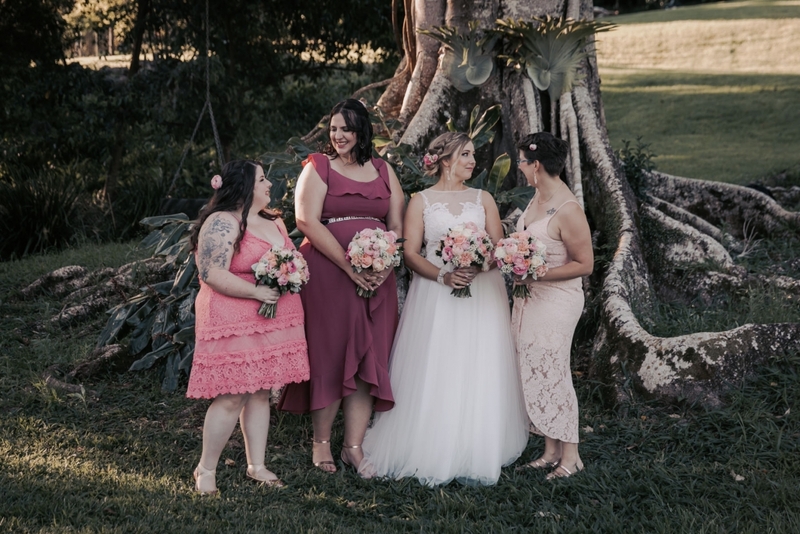 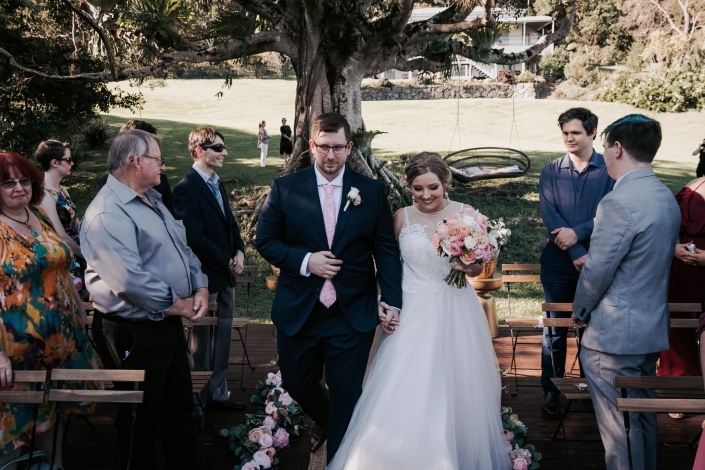 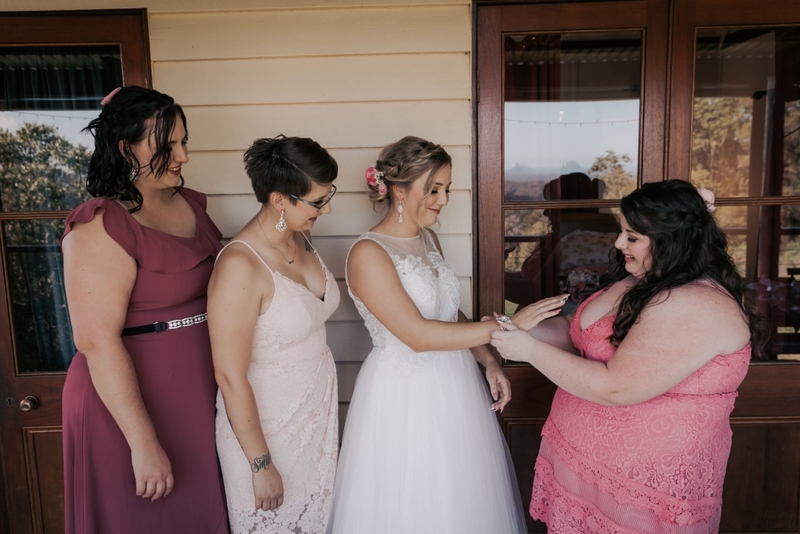 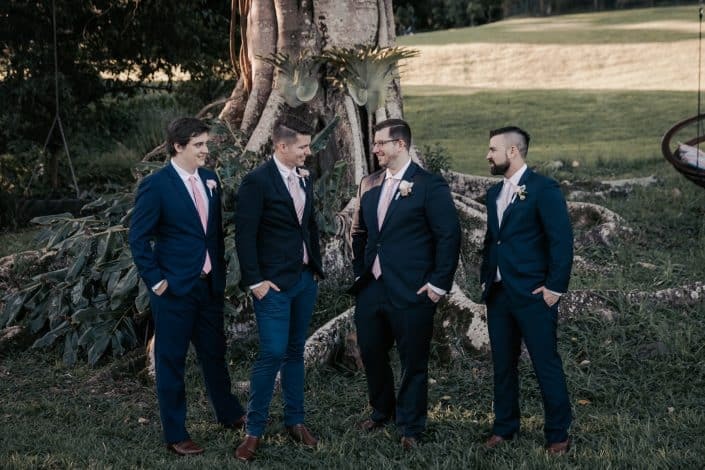 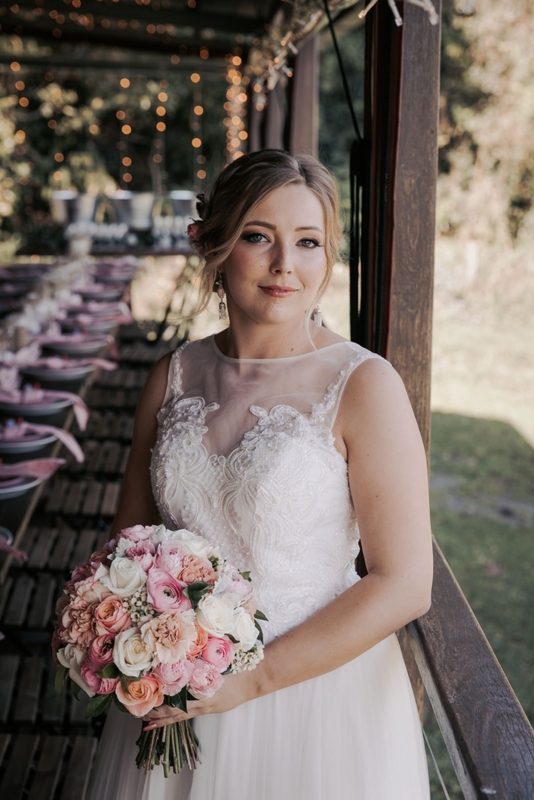 Ally and Lee were married in October of 2018 at a beautiful little spot called Halfmoon Hideaway which is located in Maleny near the Sunshine Coast. 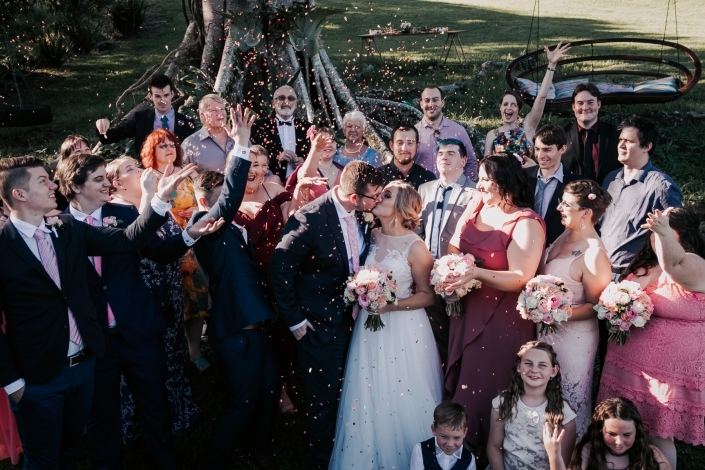 Halfmoon Hideaway is a charming venue which is family run. It overlooks the stunning Maleny hinterland and provides excellent opportunities for as a wedding photographer. 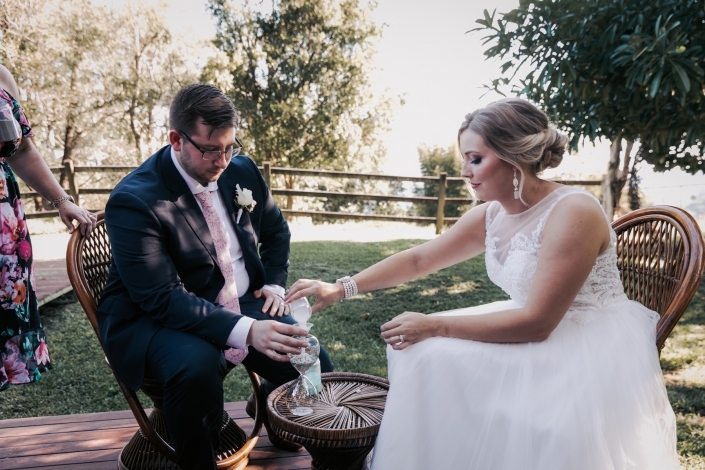 Ally and Lee both prepared for their wedding at the venue itself. 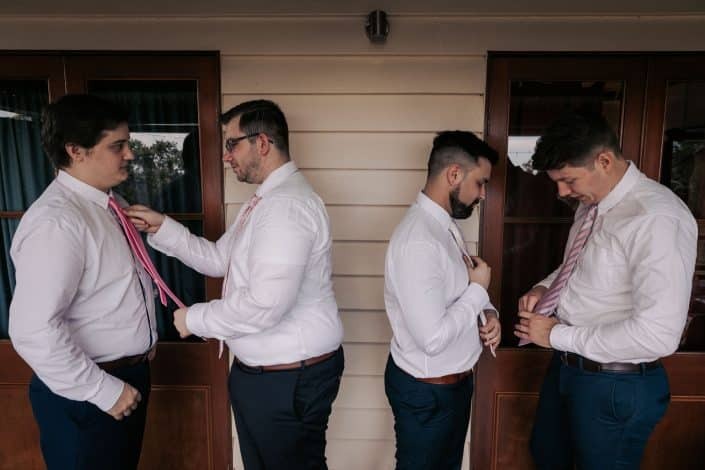 They both had 4 each in the bridal party which helped them get ready for the wedding. 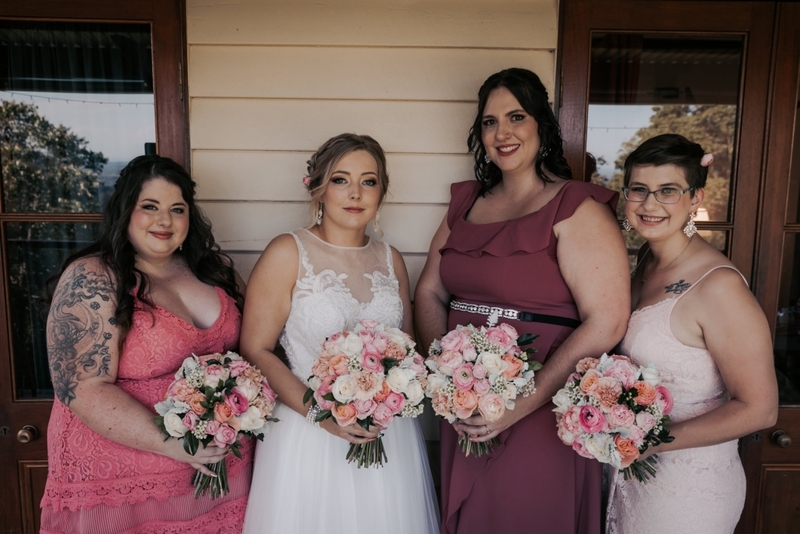 With the help of Sunshine Brides, Ally and the girls looked fantastic. Ally and Lee chose to enter the wedding together and were were married by Marriage Celebrant Venita Manning in front of their intimate wedding of 40 or so wedding guests. A sand ceremony was also conducted before walking down the aisle as husband and wife. followed by the bridal party photos. My favourite thing about Halfmoon Hideaway was the beautiful sunset in the background of a stunning country setting. 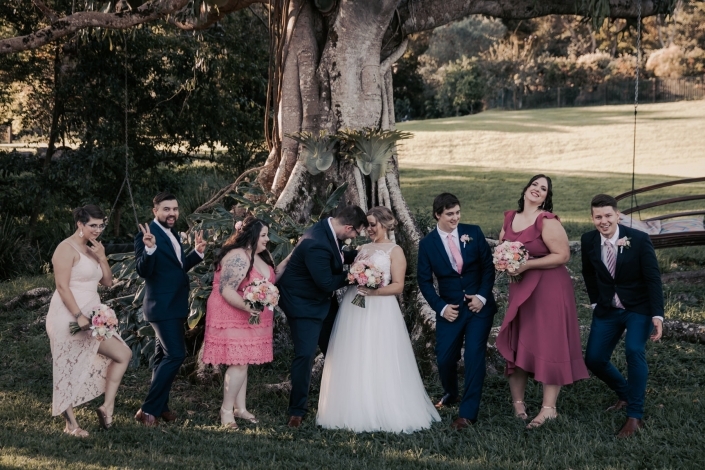 As you can see from the wedding photos below, they turned out fantastically well. 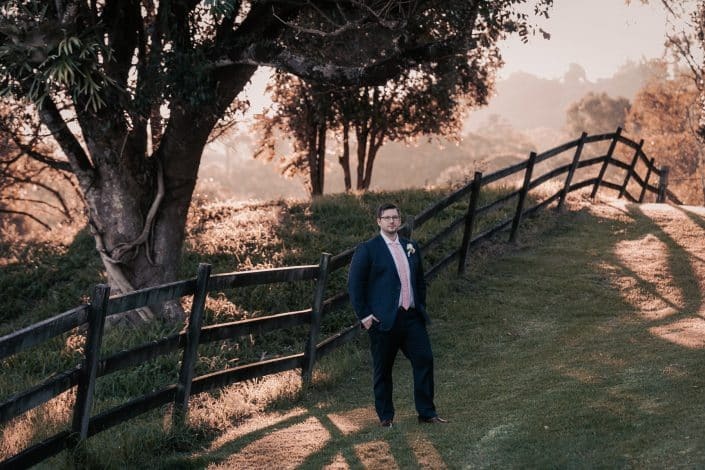 I particularly love the wedding photos with the sunflare in the background. 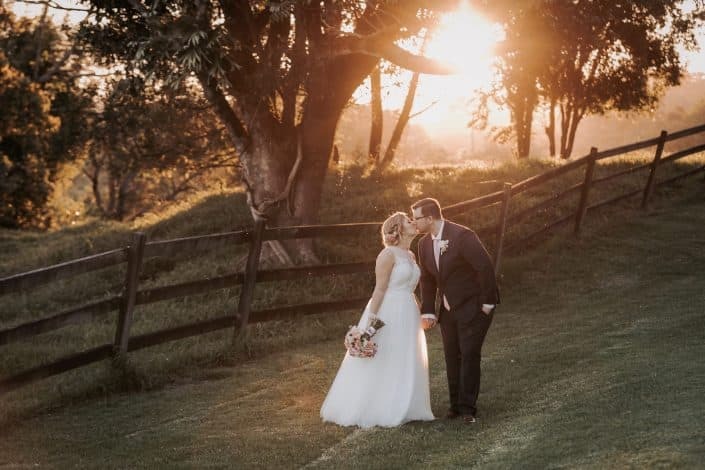 Sunflare is a tricky thing to master. 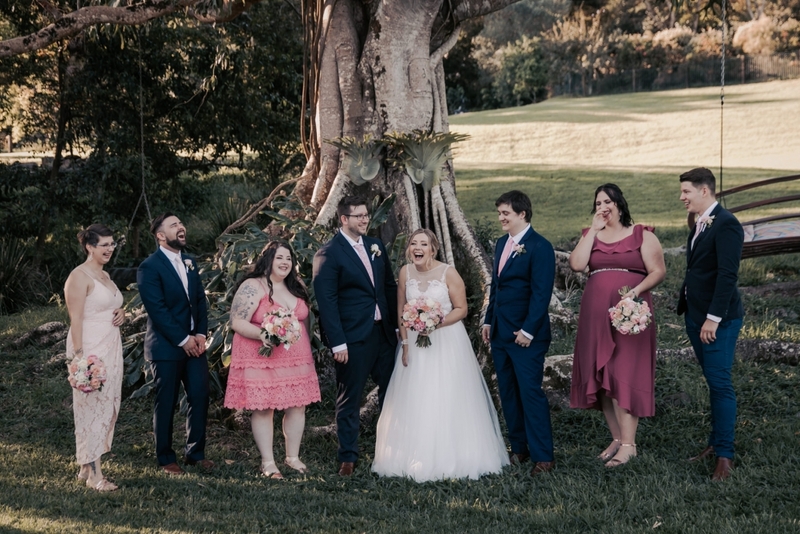 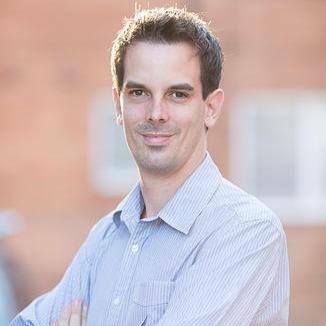 It needs to be filtered slightly behind a tree, otherwise it will overpower the sensor and allow to much light into the photos. 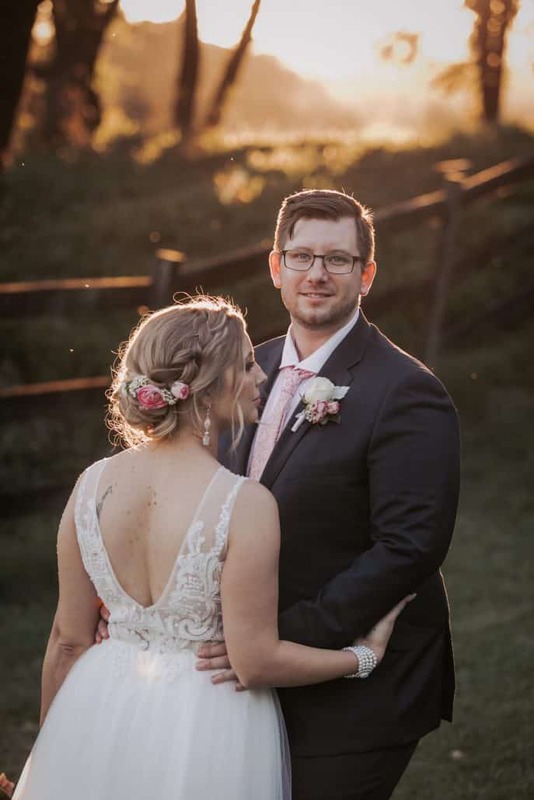 If you can control the amount of sunflare, the results can be amazing. 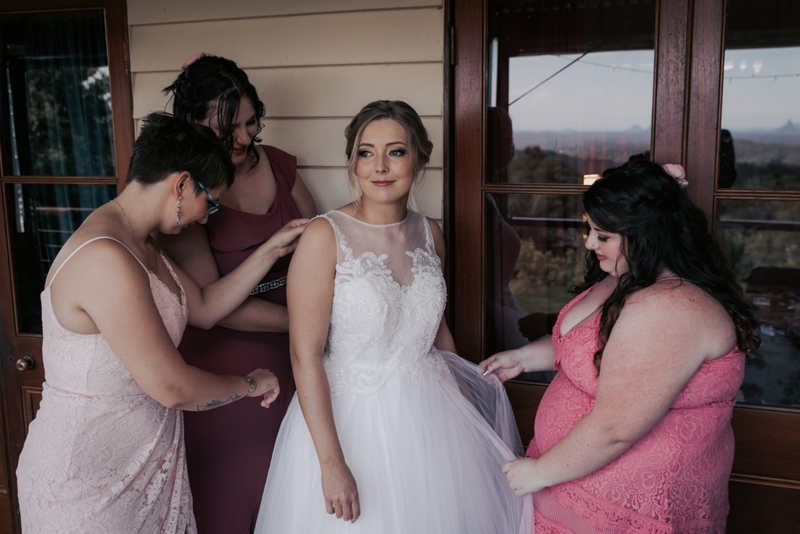 Thank you to Ally and Lee for allowing me to capture your wedding. I will remember this beautiful backdrop for a long time to come. 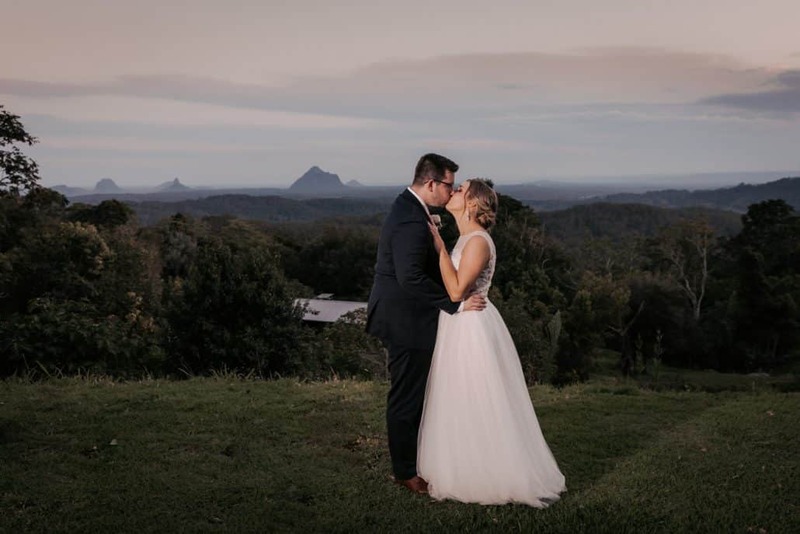 If you are looking for a Sunshine Coast wedding photographer, then please visit our homepage to make an enquiry. 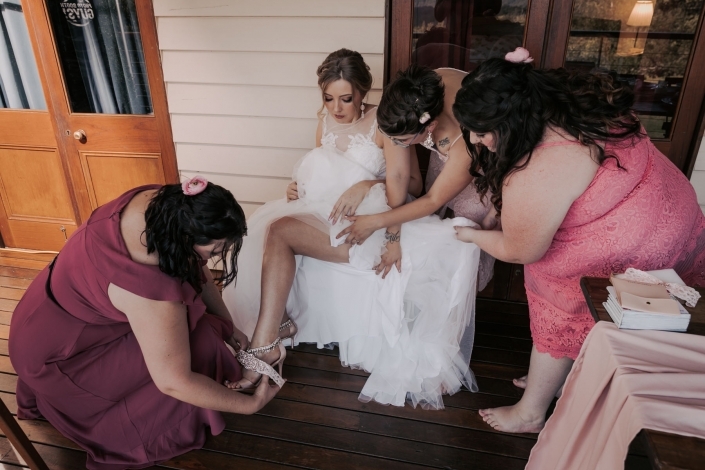 We offer wedding photography packages from $990 to $2490.